Founded in 1835, Independence is a town rich in history. 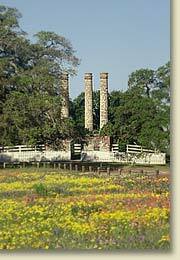 For starters, Independence is the homesite of Baylor University—and Sam Houston and his family lived here in the 1850s. historic churches, old plantations, and more. and probably, a history you haven’t known. Documentary photo: The Texas Collection, Baylor University. Masthead photo: Doug Zwiener. Other photos: Ellen Beasley.